Every now and then I intend to shine a spotlight on one particular game and offer a political analysis of that game. I will usually consider political games, but there could be some other games every now and then. In any case, for the first spotlight I decided to go for the mother of all political games - Diplomacy. A (no longer so) recent episode of This American Life (based on this fabulous piece, written about a particularly vicious tournament) has reminded me that there's no better way to start that with the game that got me started with this board game madness, though I didn't even know it at the time. I want to retell that story briefly. I was introduced to the game Diplomacy, believe it or not, as part of a course on international relations. Needless to say, it was a terrible pedagogical tool - we learned nothing about diplomacy or international relations from it, and what happened in our game was far from teaching us history. But it was a great deal of fun and we were so excited about it that we started what is still, to this day, one of the best gaming experiences of my life. We started an ongoing diplomacy game where we make a move once a week - leaving the board set up in our dorm room, and allowing diplomatic communication to take place at any time or place and in any shape or form. We never finished that game. A few weeks into the game, Austria had a nervous breakdown. He has been down to one unit in the middle of the board and had no chances of winning. He couldn't care less about the game anymore but kept on playing as a good sportsman. Though he was all but dead, his support was crucial and the pressure was intense. The alliance from the East pestered him during the day and the alliance from the West during the night (we shared a room). Both had part in his demise and eventually he couldn't take it anymore and decided he's not giving any more orders. We couldn't find a fair arrangement or a replacement, so the game stood still in the winter of 1911 (or whatever it was). Nobody flipped the table, instead the board just set there - froze in time. What is it about diplomacy that makes it the friendship ruining game that it is? As big strategy games go, it is pretty simple to explain. It is a tight area control game where the competition over the geography is intense. Controlling the map is the objective of the game and it's also how you get more army. It's a classic rich-get-richer dynamic that characterizes old-school dudes-on-a-map games. The geography also dictates who your friends are and who you can harm (usually these are the same people). The units on the map are equal in strength, there are only two kinds of units (armies and fleets) and the orders you can give them are pretty straightforward: move, support, hold. The battle system is what people call (in my opinion, wrongly) deterministic, which means that whoever has more units wins. In cases of a tie, there is a stalemate. Strategically, the game is all about positioning your units in the right places and striking in the right time. I have played Diplomacy as a two player game a few times. It has a chess-like feel, coupled with the guessing mind games that is all the rage in Rock, Paper, Scissors. It's pretty enjoyable, but that is not what makes Diplomacy ticks. The following discusses some mechanics that make Diplomacy work as the political game that it is. By no means is this a comprehensive review of all the game has to offer. I look at these mechanics not from the perspective of the game design or the strategic player. I look at them from the perspective of the political GAmer. By far the most important feature of the game is the way orders and placed and executed. Diplomacy pioneered in modern board games the style which centers around simultaneous action selection (SAS henceforth) and it's still, as far as I'm aware, one of the most extreme application of this mechanic. What do I mean by extreme? In Diplomacy, all the orders you give in the game are given, and executed, while other players are giving theirs. There is no decision you ever make in Diplomacy that is taken with a set board: while your units are moving, others are as well. There is always uncertainty about the situation you're in. This is radical. SAS is a controversial mechanic. Some players love it and others hate it. From a design standpoint, it's very hard to design SAS mechanics. It's not a coincidence that Diplomacy requires this kind of technical guide if you want to resolve it without contradictions and crazy business. Moreover, you typically would want to limit your usage of SAS because it causes frustration for players who want to have control. Other games that include SAS mitigate its effects by limiting its scope. In A Game of Thrones: The Board Game, inspired by Diplomacy, players place their orders simultaneously but execute them in turn order. You get to see the board before you decide where your march. Wars of the Roses does the same thing. Cosmic Encounter, Dune/Rex, Kemet and Tiny Epic Kingdoms use SAS only for battle resolution. Other games, like Twilight Struggle and A Game of Thrones: LCG, use it only for a special phase each turn. The only other games I can think of that focus on SAS to that extent are drafting games such as 7 Wonders and Sushi Go, and they are significantly lighter and shorter. an environment of extreme uncertainty and when people have to make decisions in such conditions they become very paranoid. Not only does SAS encourage suspicion and distrust, but it also generates a great deal of anger and pain in the common case where one has been screwed over. If you didn't anticipate your foe's moves, not only are you not prepared for them but you also, at the same time, did something completely stupid. SAS is really punishing because it doesn't even allow you to pull back once the betrayal has been discovered. Your troops have received their orders, and now you just watch them march to their doom. With superior units, one can guarantee a conquest and there's a variety of ways to guarantee a stalemate. But the former is rare and the latter does not tend to deliver victory. What SAS brings to a game is tension, frustration and a healthy dose of distrust. Tension in the anticipation of the move, frustration because you once again was acting on false assumption and distrust of people who can't show you what they're up to until they've already done it. SAS makes it very hard to cooperate because it's really hard to show good faith. Any game that uses SAS is bound to have a taste of the poisonous relationships diplomacy fosters. Even Tiny Epic Kingdoms turn epicly sour when an alliance is broken or a battle goes badly for someone. The greater the importance of the actions done simultaneously, the more corrosive the effect. In Diplomacy, everything is done simultaneously. So the atmosphere of distrust and suspicion is constant. The hurdles on the way to cooperation is unrelenting. But that is not all, because in Diplomacy, SAS is accompanied by a few other poison inducing mechanics, that complement SAS like cookies to a cake. Poisoned cookies to a poisoned cake. Set in Europe right before World War I, Diplomacy makes the thematically appropriate choice of making stalemates quite common. This is a major design flaw in this wonderful game because it makes the game awful in at least two ways. First, the game can literally last forever, and many games actually do (or they approximate it for all intents and purposes). Second, it's not so rare to have a turn where literally nothing happened. It's hardly exciting to go through the trouble of a whole round and look at the board to see that nothing had changed. In a typical game, that can happen several times. And once alliances have consolidated and players skills are matched, it's not unusual to see this more often than not. But stalemates are awful in yet another, wonderful, way. Stalemates result when equal powers meet and their commonality is a reflection of the way the power is distributed equally between units on the board. This means that players absolutely need each other in order to make something happen. The need for support from other players is what makes SAS so exciting, frustrating and ultimately devastating. It's not only that you don't know what your enemy is doing but you don't even know who your friends are. In Cosmic Encounter, for example, all neutral players declare their support and send their troops. The main combatants then decide what card they play given their odds of winning. If everybody ally against you, there is no reason to throw away that good card you might use later. Or that might be an opportunity to use the 40 and punish all of them together. That is true even for a mean game such as A Game of Thrones: you get to see who betrayed you before you send Ned Stark to die in a hopeless battle. Not so in Diplomacy. You deploy your troops blindly, hoping for the best but knowing that without that support from somebody else, you will be destroyed. And you can't make it alone - all powers in Diplomacy have too many neighbors, too many potential enemies. Growing strong early makes you a target, but failing to grow means you will definitely be wiped. You have no choice but to put your trust in someone. The only question is who, and that's the nerve-wrecking part. And that's where the next piece of the puzzle comes in. I've mentioned here before that Diplomacy is actually a weird name for this game because thematically, it's not really about diplomacy. Instead, it's a game about war (and I'll leave the discussion regarding whether or not it merits the label 'war game' to another day). It's a game where you win by controlling Europe which you can do without talking to anybody but you can't do without destroying others. The game has no formal mechanisms for building (and breaking) alliances, signing and negotiating treaties, establishing (or breaking) diplomatic relationships or anything of the sort. All the things that in the real world (and in the period before WWI) are called 'diplomacy' are absent from the game mechanics. With one exception. The innovative part is that the rules dedicate a game phase for discussion. That is all. The game says you have a limited amount of time to talk and leaves it a that. Unlike Cosmic Encounter, there are no in-game consequence of reaching or failing to reach an agreement: nothing happens if you don't reach an agreement by the allotted time. Unlike Dune/Rex, there is no way to make binding agreements. Unlike Settlers of Catan (or Sheriff of Nottingham and many other trading/negotiation games) - there is absolutely no way of making any trades. I can't give you this if you give me that. 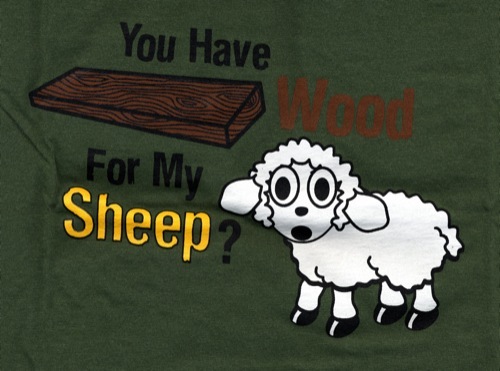 I can make an offer and you can agree, but we have no way of trading wood for sheep. It's just talking. In game theory, cheap talk is a technical term that refers to communication between players that doesn't change the payoff structure. This is often confused because many people believe that the implication of game theory is that all talk is cheap unless there's some third party enforcing it. In particular, many people (including political scientists and such) have come to the conclusion that diplomacy in the real world, for that reason, is cheap talk. This is, of course, false; real diplomacy is not cheap because, first and foremost, it's not cheap. By its technical definition, cheap talk is costless, or as close to it as reasonably possible. Real diplomacy is anything but cheap and there's good evidence that diplomacy is often useful in a variety of ways that changes the payoff structure. Real world aside, in the game Diplomacy - discussions are cheap talk. Or at least, it's a close to it as you can get. It is designed to artificially create the conditions, actually lacking in real diplomacy, ti make your talk as cheap as possible. Because you can't really seal a deal, and you can't exchange any resource and there is no way to independently verify the validity of the information you get - talk is very cheap. And yet, even in Diplomacy talk is not completely cheap. Human nature being what it is, players develop social systems of reputation and trust. People build on consideration from inside and outside the game to forge relationships. They use their relatively cheap talk in an environment that's hostile to cooperation and build those ever so precious relationships. This is because at the most crucial part of the process, the negotiation, the game steps back and gives the players space to create their own rules. It's a bit of chaos in a box, that game. That's why you get the widest variety of experience with a game like this and that's also why it ruins friendships: at least with friendships there are rules. Unspoken as they may be, we know that there are certain things you don't do to friends. But there are no such things in Diplomacy; the game provides no such limitations. You can say anything in order to get what you desperately need. Of course, that means lying. But it also means guilting people into making mistakes, cajoling or taunting them, putting them off their game. The game give you a bunch of space for talking but doesn't let you do anything specific with all that talk. You have to find something to do with it, and you may not like what other people find. There you have it. Diplomacy is a game where you desperately need the help of other players but you have a really hard trusting them. And in that desperate situation you are given no tools to help yourself but unstructured talking. Which leads us to the way Diplomacy makes us treat each other - in a variety of ways. The game puts players in a pressure cooker and it's not a surprise that many of them come out well done. But if there's a game where I've seen amazing alliances going the distance and splitting a shared victory, it's this one. And it's a game where people can, and often do, choose to support someone just because they like him. That's a game where real out-of-the-game charisma is really important. And that's the game's biggest downside. It raises the stakes too high with its length and intensity and doesn't make any effort to make sure your experience is enjoyable. It's really up to the players. And there are so many ways in which people's expectations can fail to match. One game I played recently online broke down very quickly simply because some players wanted to role-play and negotiate extensively, while others really wanted to just exchange a few 'trash-talk' messages and make a move. Diplomacy reveals the truth that anyone with a bit of training and communication knows: it's not easy. Communication is something that needs to be worked at. Relationships are something that benefit from regular maintenance and really suffer when they are constantly strained by conflicting interests. The way we treat each other in a game of Diplomacy does not reveal out 'true' nature, as some would say. It's an artificial environment that is designed to make it hard to do what human beings naturally do: form relationship and trust each other. But it does reveal an aspect of our personality and tests it under unfavorable conditions. How far are you willing to go? What will you do in order to win? The game lets you do a great deal to each other, with both virtual sticks and stones but with real words - words that break hearts.